Parents and physicians can also work together to understand what services insurance plans provide for children with developmental disorders. If a screening indicates that a child is at risk for a developmental delay or disorder, many parents find themselves on a steep learning curve: from understanding basic terminology to complex treatments and interventions. At the same time, parents should begin the process of understanding their insurance plans. What services are offered? What eligibility requirements exist? When might they need a referral? Working together, parents, physicians, and insurance plan staff can advocate for a full range of appropriate services for a child with disabilities. Have familes review their insurance materials and contact their case manager. 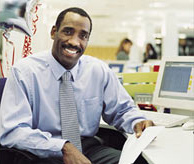 Insurance companies may provide the most up-to-date plan materials upon request. After reading the materials, families should call the insurance company to get the name of their case manager. The case manager can provide additional information and assistance, as he or she oversees the child’s case. Check on this site to see if supplementary health insurance is available for children with disabilities in your state. All states offer coverage for people with disabilities through Medicaid; income eligibility varies. Some states offer special health plans for people with disabilities, often through the Division of Medical Assistance. The Waiver program began in 1982, when the first Katie Beckett Waivers became part of a state’s Medicaid optional benefits allowed by the Secretary of Health and Human Services. Medicaid Waivers are state-run programs that use federal and state funds to pay for health care for people with certain health conditions. Without Medicaid Waivers, thousands of children with special health care needs would either go without health care (because of their health condition and/or financial situation), or would be institutionalized in order to qualify for Medicaid. Medicaid Waivers permit states to use flexibility to design publicly financed health care systems outside of certain federal Medicaid statutory and regulatory requirements. Each state has different Waivers with different eligibility requirements or services. Two Medicaid statutes are currently waivered: 1915 and 1115.